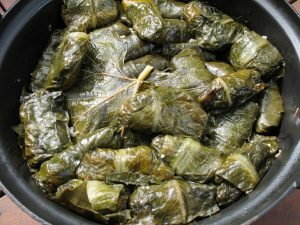 Ever wanted to make your own dolmades? It’s easier than you think. For years I lived in a house with an ancient grape vine. Every year the fresh green leaves beckoned me to make dolmades. The young leaves blanched quickly in hot water are perfect wrappings for parcels of flavoursome rice. 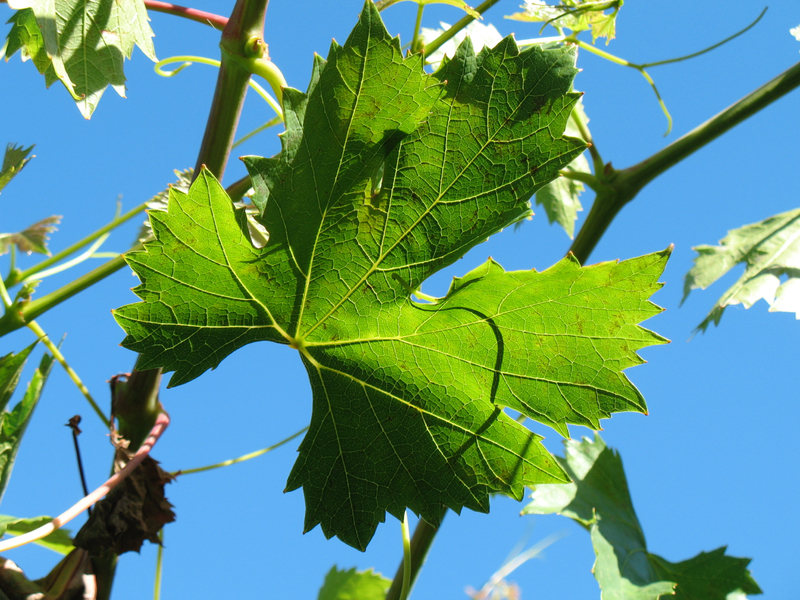 Without your own grape vine, there are many alternatives. Mediterranean delis sell preserved vine leaves but I prefer using silverbeet/chard, cabbage or cos lettuce leaves. Cos was a revelation! They’re probably the best dolmades of them all. In the vine leaves days, I’d make a big batch with many layers in a cast iron Dutch oven. It’s a fun activity to share with a friend and split the spoils. However, smaller single layer batches can be made in a frying pan with deep sides, as long as it has a well fitted lid. I can’t attest to the authenticity of this recipe, as I’ve adapted many versions over the years. If you’re avoiding nightshades, you can skip the tomato. Par cook the rice, for 5 minutes. Cool and drain. Combine the rice and onions with the remaining ingredients for the stuffing, taste and adjust the flavours as necessary. You might like more herbs or tomatoes. Gather the vine or lettuce leaves and dunk in boiling water til softened. Cos leaves take about 30 seconds while vine leaves need up to three minutes. Drain on tea towels. To roll the dolmades, place a teaspoon or two of the rice filling towards the stalk end of the leaf. If the cos has a thick vein you might need to crush it a little with the back of a knife. Fold the end closest to you and the sides and roll the leaf away from your til you’ve made a little cylindrical parcel. Line your pot or pan with a couple of spare leaves and place the dolmades snuggly in a layer. It helps to roll the dolmades with a gentle hand, not super tight, as the rice needs a little room to expand while cooking. Whisk together the simmering liquid and pour over the dolmades. Add an upturned plate to weight down the dolmades, cover pot with a lid and simmer on low for about 1 hour. Baste every 10-15 minutes. Store in fridge in an airtight vessel, drizzled with olive oil if necessary to strop from drying out. This recipe is vegan, vegetarian and gluten-free. There are over 100 original recipes in the archive. To get a recipe in your email box each month, sign up for the free newsletter.